Show Santa who's been good with the Huxley & Kent Holiday Frame Pet Stocking in the Buffalo Check pattern! Now your pet can have their own special Christmas stocking with the Huxley & Kent Holiday Frame Pet Stocking in the Buffalo Check pattern. 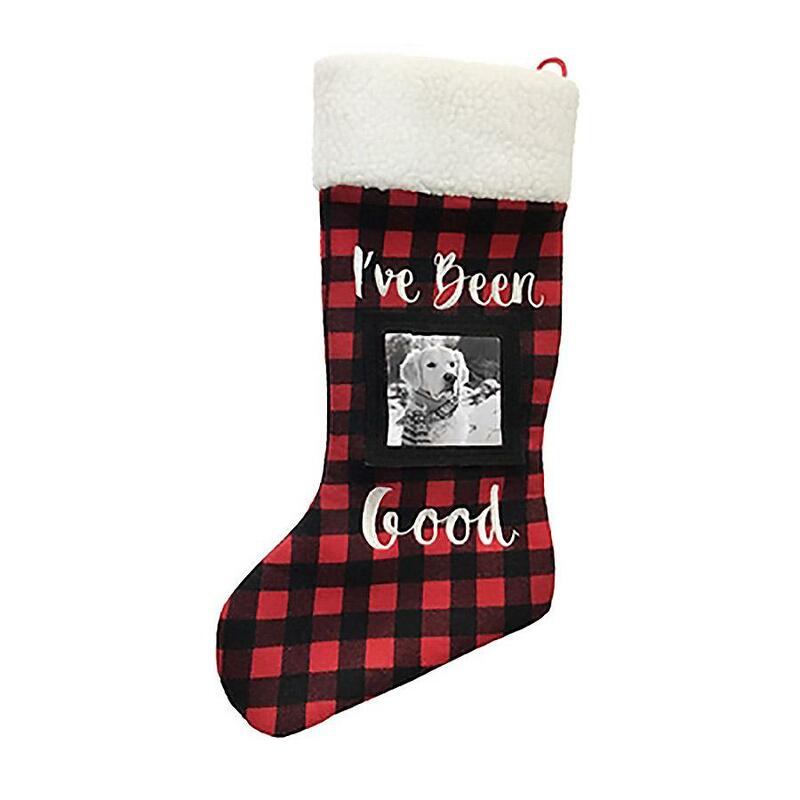 This cute pet Christmas stocking has a pocket frame to insert your dog or cat's photo and says "I've Been Good" so Santa doesn't have to check his list! Includes a faux sherpa trim and a hanging loop.